Hey all of you Anime guys and gals! It’s the time of the year for cheer! Christmas is coming, and Hanukkah, and Kwanzaa, and Boxing Day (that’s the day after Christmas when you box up the gifts you are going to return or donate). Yep, the season of lights is upon us, and where do we find lights? Why on a Christmas tree of course. And what else do we find on a Christmas tree? Ornaments! And what else might we find in a tree? Cats! Cats like trees! So in that spirit we are going to make Beckoning Cat ornaments! The legend goes that this cute kitty once saved a nobleman’s life by beckoning him into a shrine and preventing him from being captured by bandits. We are also making Anime inspired holiday cards. The Anime Club at the Pearl Library is open to teens ages 13-17 and the next meeting is on Monday December 17th from 6-7 p.m. Hope to see you all there and from all of us at the Pearl Library we wish you Happy Holidays and a fantastic New Year! When you read, you're always going to have a reader's bias. You always bring your own experiences into the mix. That's part of the fun. So as I've read through these contenders this year, what I've come to realize is that a HUGE percentage of them have female protagonists. Now some of that really is just that there happened to be a lot of books written by and about women in 2012. But I'm sure some of it is that I am a woman and so I tend to gravitate towards female heroines. All that to say, whether this year's field is largely populated by women or whether that's just what I've been reading, this post is about two strong women. And they are both AWESOME. 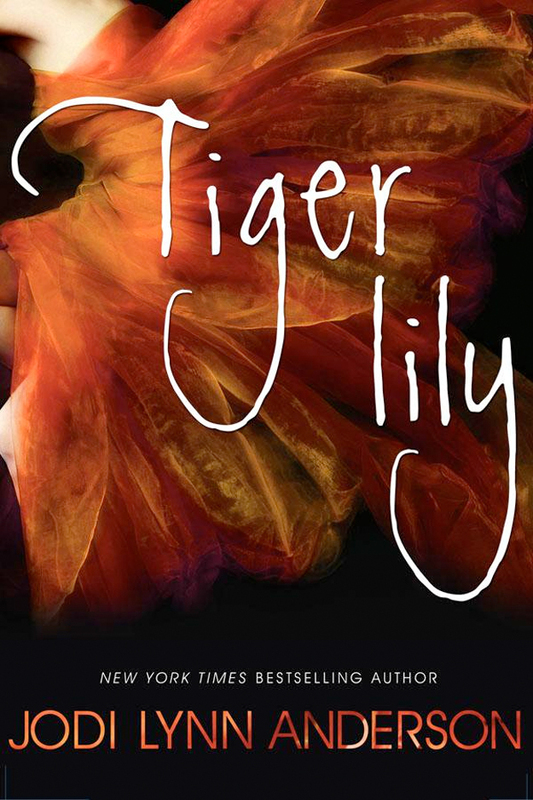 So we all know about Tiger Lily. She was in the original Peter Pan book, and she was in the Disney movie, so we know her, right? Well, Jodi Lynn Anderson has written her backstory and she's almost completely unrecognizable. And I gotta say, I love her this way. Narrated by TINKER BELL (y'all, it's my childhood come to life here), this story shows a different side of Tiger Lily, Tink, Hook, Smee, and even Wendy. This Tiger Lily is stoic, solitary, introspective, and comtemplative. She's faced with an arranged marriage to a man that she finds repugnant. And then she meets Peter Pan, who is completely off-limits and completely fascinates her. The Pirates are terrifying. Smee is reimagined in a way that I would never have thought of, and painting Hook as a drunken wastrel with touches of elegance is nothing short of brilliant. The mermaids that love Peter are bloodthirsty, and Tiger Lily's tribe doesn't quite adore her the way we're used to. I love the way that Anderson weaves pieces of the story that we know with details that didn't occur to us when we were Disney-watching children. Seriously, though--what would really happen in a romance between a 15-year-old Indian girl--an adult, marriagable woman in her tribe--and a boy who refuses grow up? This book got multiple starred reviews, and it's beautiful. If you love Peter Pan--or even if you don't--try this one. You better believe the Printz committee is rereading it right about now. Request it here. 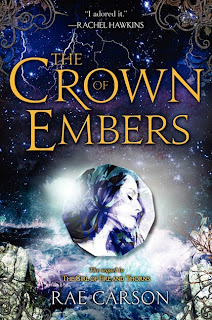 The Crown of Embers is the second book in a series that started with The Girl of Fire and Thorns, which I reviewed during Printz Watch 2012. I really liked it and when I managed to snag an advance copy of this second book, I snatched it and started reading immediately. I was determined to make it last as long as possible and not devour it whole. I always want to stay in Joy D'Arena as long as I possibly can. Elisa is queen and hero of her country after the events of the first book. But she's only seventeen, and she has no experience in running a country. Her enemies have retreated, but heaven only knows how close they linger. She's bogged down in bureaucracy, trying to figure out the day-to-day business of running her country. Her advisors are pushing her to marry quickly and diplomatically. She's still trying to figure out her duty as bearer of the Godstone. But things take a turn when she's the victim of an assassination attempt. She must go on a dangerous journey and make some serious decisions. Ok, so I'm always terrified to read second books in trilogies when I've loved the first one, but this one is GREAT. It's easily just as strong as the first. Elisa is growing and maturing as a woman and as a queen. She's learning how to be her own person, how to bear the Godstone, and how to rule a country bu learning to put her emotions to the side for the sake of her people. Honestly, I can't say all that much about this book without ruining the first one. If you like fantasy at all, try this one. As for Printz odds? I'm hoping they look at it, but even though it's such a strong second book, it's still a second book, and that may count in its favor. Either way, this one deserves a read. Request it here, and then join me in waiting with bated breath for the third book! !